Mughlai cuisine is one of the most popular cuisines. Mughlai food is quite spicy and has a very unique aroma. 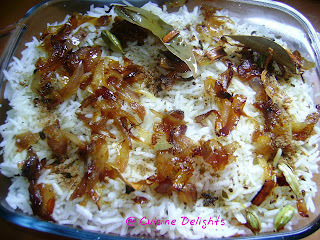 On eating Mughlai food, one can get a feel of the ground spices. 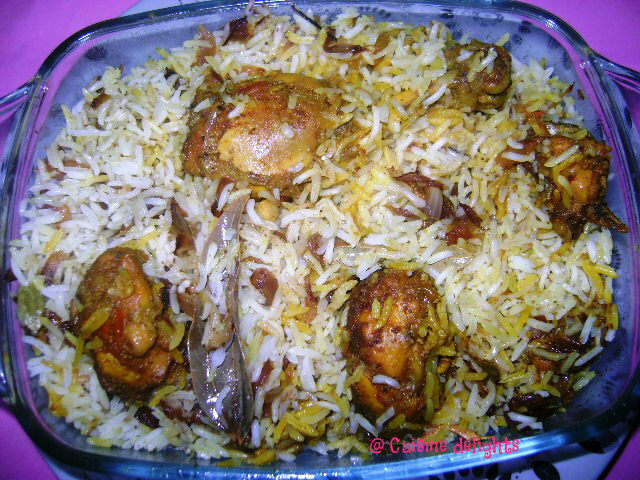 Chicken Biriyani is an authentic royal rice dish, where the chicken and the rice are cooked separately and then combined in the final step. It can be made in various ways. When I first started making Biryani on the stove, my biggest problem I was not satisfied to make this. 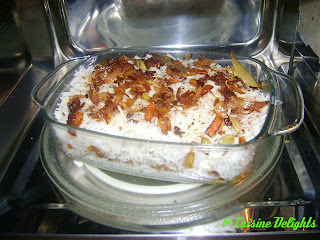 Making it in the microwave, it is a wonderful experience and also a good way for beginners to make biryani easily. 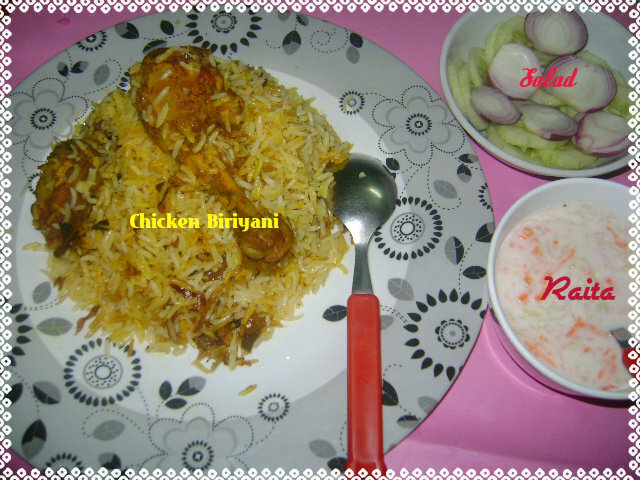 Hope you enjoy my chicken biryani!! 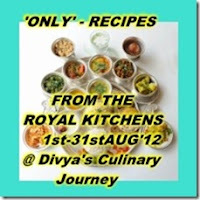 For marination ~ In a bowl marinate the chicken pieces with half of onion paste, ginger paste, garlic paste, yogurt, turmeric powder, red chilli powder, garam masala powder and salt for an hour or more. For the rice ~ Meanwhile wash the rice and drain all the water. Also about 4-5 cups of water bring to boil to cook rice. Now carefully drain the rice and keep them aside ( make sure it’s only half cooked, don’t over cook it ). For the chicken ~ In a heavy-bottomed pan, add 2tbsp oil and fry the onions for the masala till golden brown, add ginger-garlic paste, cook for 5 mins. Now add marinating chicken pieces, turmeric powder, red chilli powder, garam masala powder, salt, fry on high heat till the chicken is fried and the raw smell of spices goes. Turn down the heat, add the tomato puree, yoghurt, saute till the oil separates. 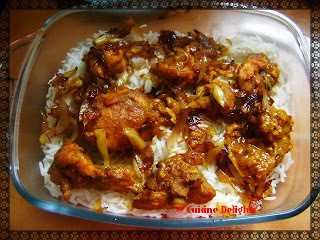 Cook and cover the pan with lid till gravy reduces and the chicken is cooked. Check and stir frequently to prevent the chicken and masala from burning. Heat 2 tbsp oil and 2 tbsp ghee, now add tempering ingredients, when seeds are good smell then off the gas. In a small bowl, add the saffron in hot milk, mix it well. 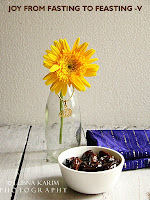 For the biriyani ~ In a microwave bowl, coat with a little oil. Start by layering the Chicken at the bottom of the dish along with a few pieces of Potatoes (saving the gravy for top layer). 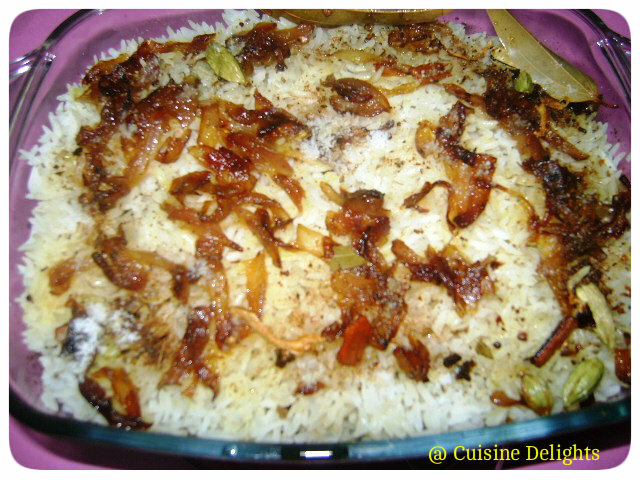 Fluff up the Rice and add a layer of it on top of the Chicken with half of the Rice. Layer the balance of the potatoes and all the gravy on the rice layer. Next spread the balance of the rice and spread some fried onions. 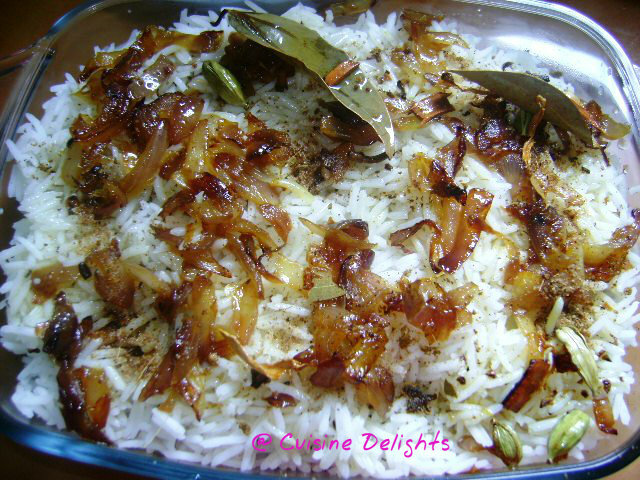 Drizzle the tempering oil on the top of rice. 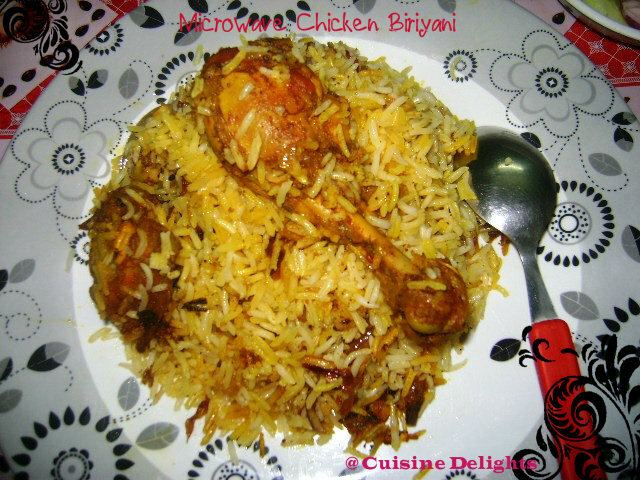 Now place the bowl in microwave and cook it for 5 mins in micro high. When you reach the final 5 mins, add the salt. Once done, remove from oven, mix it and cover with lid, keep it aside for 5 - 7 mins.